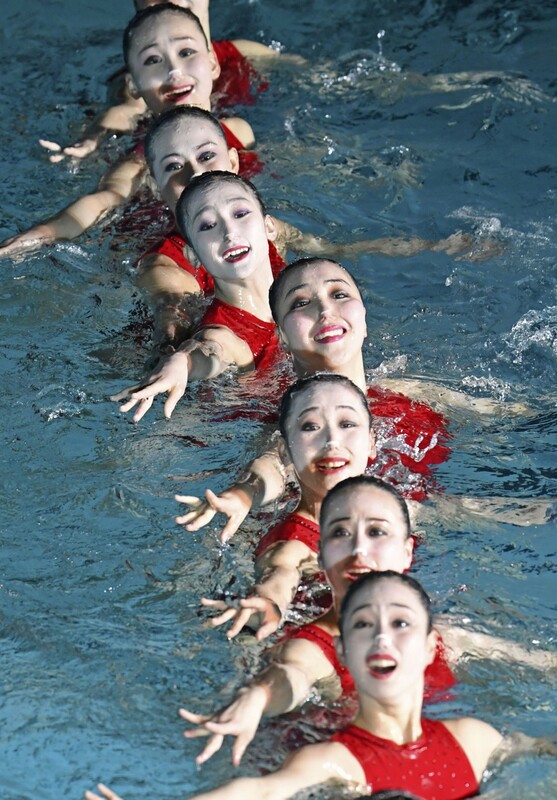 Several events such as figure skating and artistic swimming shows have been held this week in the North Korean capital Pyongyang ahead of Saturday's anniversary of late leader Kim Jong Il's birth, with a celebratory mood prevailing. So far though, state-run media have yet to report on a second summit between Kim's youngest son and current leader Kim Jong Un and U.S. President Donald Trump set for Feb. 27-28 in the Vietnamese capital Hanoi, leaving many North Koreans unaware of the upcoming meeting. 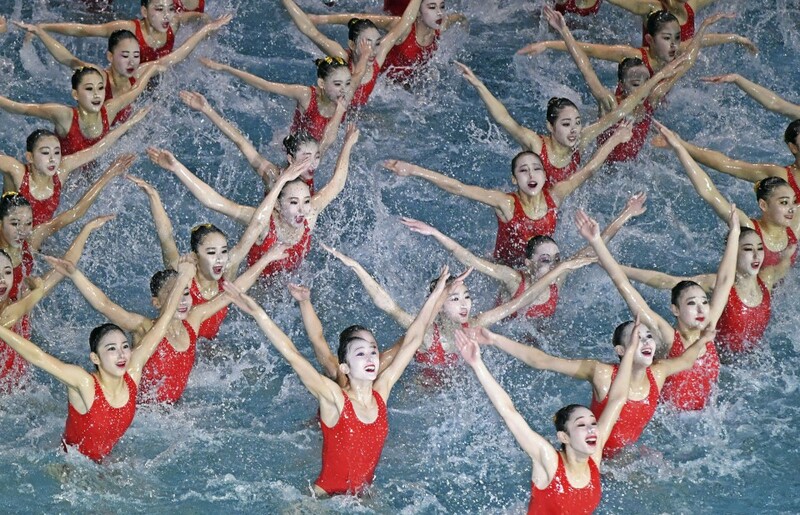 Saturday's anniversary, known as the "Day of the Shining Star," is one of the most important holidays in North Korea, along with April 15, called the "Day of the Sun," which commemorates the birth of the nation's founder Kim Il Sung, Kim Jong Un's grandfather. 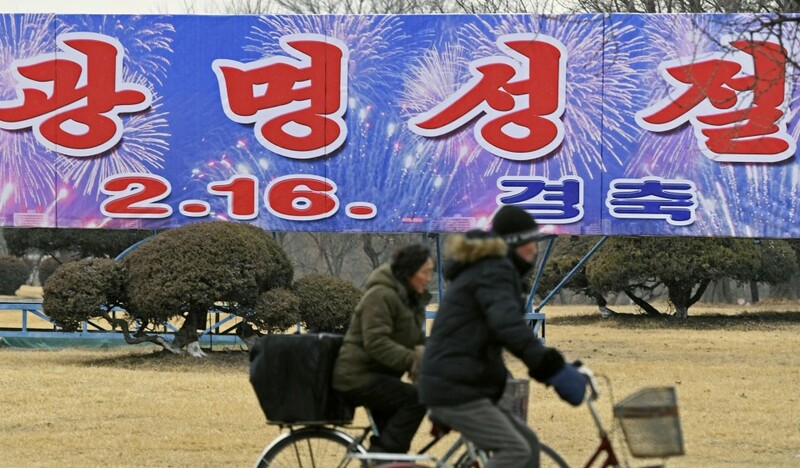 In the center of Pyongyang, where snow has been falling heavily, banners and placards celebrating the Day of the Shining Star have been installed. 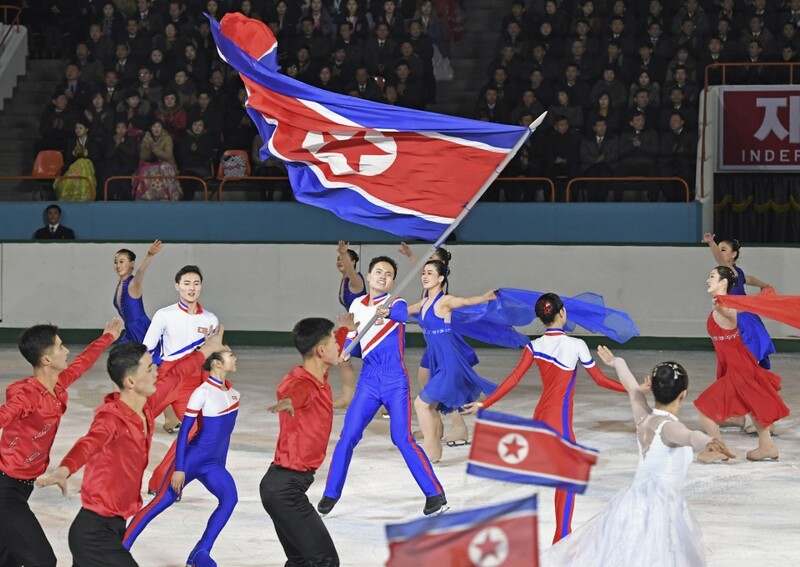 At the figure skating show held earlier Friday, a Chinese pair who won a silver medal at the Pyeongchang Olympics last year performed with North Korean skaters, highlighting an improvement in relations between the two countries.